Here in the Midwest, it seems like I’m always fighting with the wind. 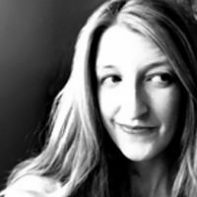 Skirts and perfectly coifed hair sometimes feel a little pointless. As soon as I attempt either of those things, the wind whips things up. 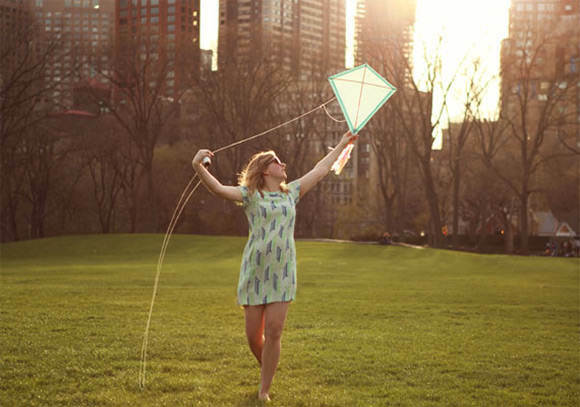 Luckily, there are ways to work with the wind instead of against it – like flying a kite! I’ve always wanted to make a kite, but it seemed complicated. Some of these DIY projects do have a lot of steps – perfect for a long rainy afternoon of prep. But there are others that are super quick, and kid-friendly, too. 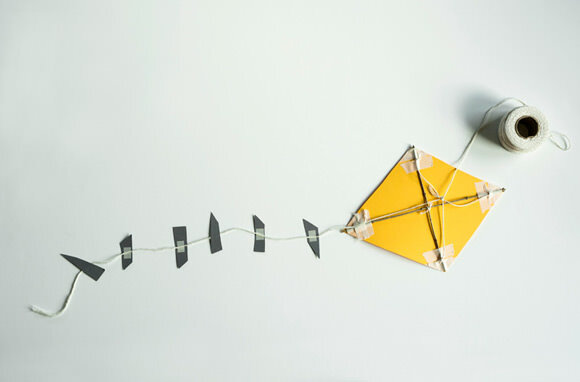 The wonder of seeing a kite go up in the air is increased ten-fold when you make the kite yourself. Here’s a collection of DIY kite tutorials and projects that will have you up and flying in no time. Leave it to crafty mastermind, Joel, to come up with the simplest of kites. Just paper, tape, string, and sticks from your yard. Who knew it could be this easy? I’d ask my daughter to decorate the paper before adding the sticks, too. These kites are amazing! While it’s definitely a project to do with the kids, they’ll need your help. But with the right supplies, and these clear instructions, it sounds totally doable. Not only is this kite a breeze to make, it sounds like even a 2 year old would enjoy running around the yard with it floating in the air behind them. I can just see a bunch of them all lined up for a birthday party, too. Are kite races a thing? If not, they should be! 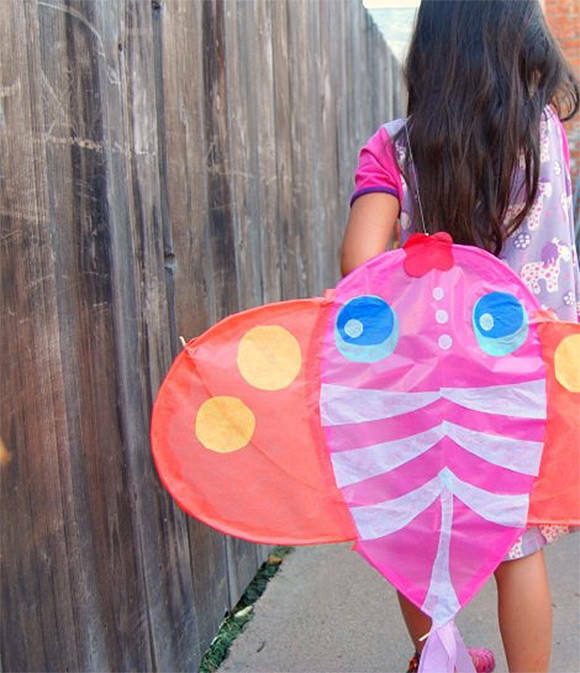 I love this DIY kite because it’s big and durable – and we all have extra paper bags just waiting for coloring crayons and streamers, right? 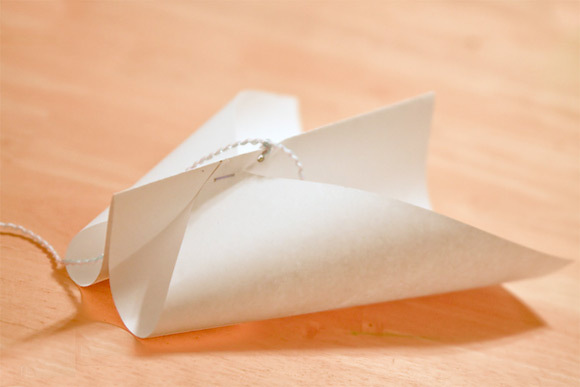 I also think this kite shape is easy to fly–it’s like a miniature sail. What an amazing kite! It looks really hard, but once you see the construction and the tutorial, I think you’ll agree it actually isn’t bad at all. Plus, for older kids it’s a great example of geometry and form. 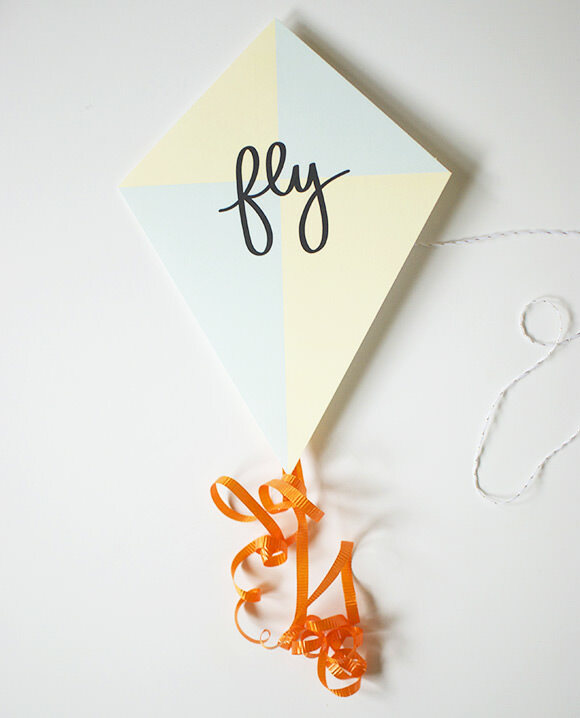 Last but not least, this kite is actually a printable you can download for free. Easy instructions, and a little wind, and you’ll be flying through the clouds in no time. 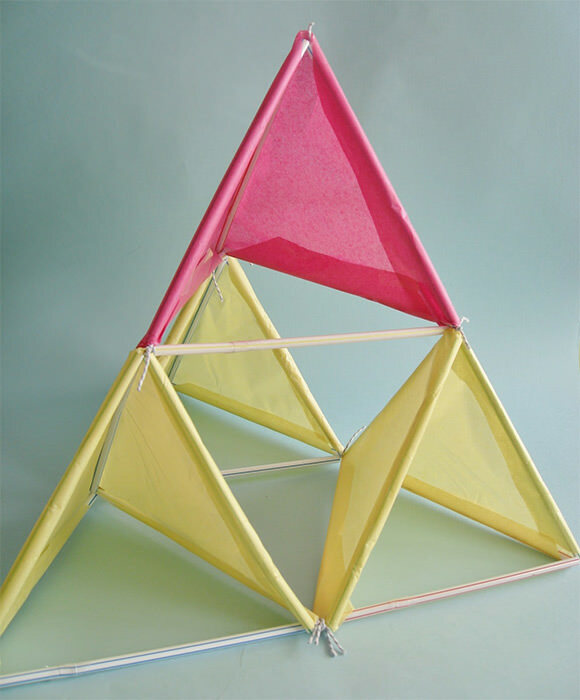 Pictured at top of post: DIY kite tutorial from the Etsy Blog. 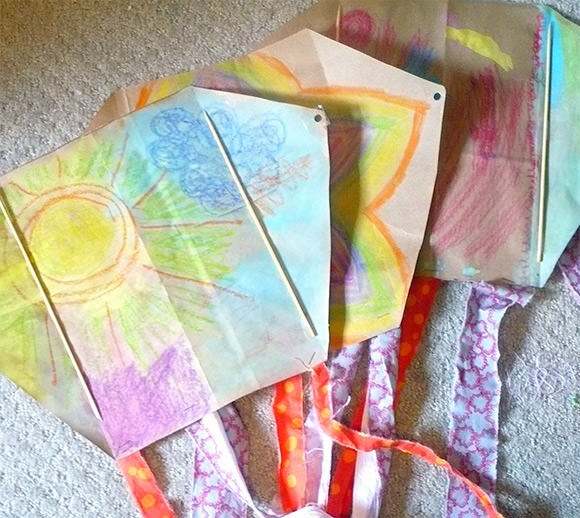 Kites are one of those timeless crafts that will never get old! These are so adorable, definitely making a few before we head out to the beach!